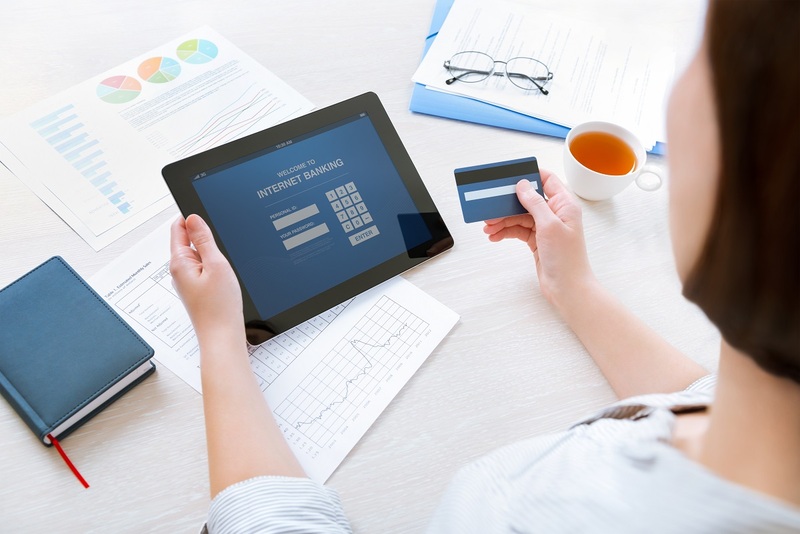 Online banking is the modern way to manage your money, and for good reason. If you’re looking to open an online checking or savings account or already have one, the following will help you wisely manage your account and maximize its features. Be proactive and research all of the features your online banking service offers. The more you know, the better off you’ll be when it comes to saving time and money, and capitalizing on added conveniences. Find information about daily transaction limits, security alerts, interest rates, and online transfers on your bank’s website. You’ll likely discover a number of beneficial features, such as OneUnited’s easy PopMoney option for sending and receiving money online to avoid the hassle of cash and checks, as well as our Purchase Rewards. Maximize your online banking experience by determining if monthly maintenance fees are charged to your account. Most online banks like OneUnited do not charge customers monthly fees with direct deposit, so if you are being charged, be sure to speak directly with a bank service representative to find out if fees can be waived. Reasons for additional service charges may result from an insufficient minimum balance in conjunction with no monthly direct deposits. However, these charges have the potential to be waived if checking and saving accounts meet a minimum balance when combined, among other situations. Always keep track of account balances to avoid overdraft fees. Monitoring your balance is easier than ever with mobile banking, which allows access to account information from a smart phone or tablet. Another simple way to avoid overdraft fees is to sign up for bank alerts, which will give notice when a certain balance has been reached. This is particularly helpful if more than one individual makes withdrawals from your account on a regular basis. Worried about incurring late fees on monthly payments? Set up automatic online bill payments. One of the best features of online banking is your ability to set up automatic bill payments for credit cards, loans, utilities, or other regular payments. Money will automatically transfer from your account to the intended party on a day of your choosing each month. You can even sign up for a text alerts and emails to remind you when a bill is due. Automatic savings transfers can be established as well, enabling you to automatically move specified checking account funds to your savings account each month and efficiently meet your savings goals. To learn more about all of our online banking features or to open an account, visit our OneUnited Bank website. Questions? Contact us at 1-877-663-8648 and we’ll be happy to speak with you. I am a new member and I look forward to banking with you. I have one concern that I hope you can address. When I was completing the enrollment process I read in the disclosure that online banking transactions are encrypted with SSL 128 but encryption. A couple of months ago, it was widely announced that SSL, which had been the standard, contained a major vulnerability (Poodle bug) and that its replacement (TLS) is the new recommended encryption algorithm for secure web-based transactions. The Poodle bug makes it possible for hackers to gain access to personal information, usernames and passwords and account information and government and private industry was shaken up by the announcement.I would like to know that One United will take steps to remedy this concern by installing the necessary patches to the servers, and networking equipment that use SSL and/or taking any other reasonable steps to provide TLS encryption for its customers. Thank you. OneUnited Bank takes the security of our customer’s personal information extremely seriously. OneUnited Bank works aggressively with our partners to ensure our online banking environment meets all industry standards and that we respond promptly to new vulnerabilities. Often times because of our aggressive security posture, we are able to stay ahead of the curve. In the case of the Poodle SSL vulnerability that you are referencing in your comment, there was a problem in the version 3.0 implementation of SSL. I want to confirm for you that OneUnited Bank’s websites are protected from this vulnerability. SSL 3.0 is a protocol over 15 years old but still used by many web browsers and servers to encrypt and secure data sent via the Internet between a client and server. While current web browsers use the TLS (Transport Layer Security) protocol by default, most browsers will retry failed connections with older protocols, including SSL version 3.0 if initial connection attempts fail. Older browsers, such as Internet Explorer 6.0 and earlier, use SSL 3.0 by default and require manual enablement of TLS. The only way to completely mitigate this vulnerability is to shut off SSL 3.0 on all equipment that runs a website and use the newer TLS protocols only. When this vulnerability was identified, OneUnited Bank knew that our website already supported the newer TLS protocols. However to ensure no customers were impacted, we worked with our partners to ensure SSL 3.0 was completely disabled in our environment. In your comment you also had concerns about the 128 bit SSL session key size being used on our website. When a customer opens our website from their computer or a mobile device, the user establishes what is known as a session. This session attempts to create an encrypted connection to our website at the highest possible encryption level that is supported by both the web browser on the customer’s device and the web server. The industry security standard currently state that anything lower than 128 bits is not considered secure, which is why OneUnited Bank currently sets our minimum encryption level at 128 bits.